And what better way to start 2010 than with a look back at 2009. Over the last year I’ve been gathering information on the documents accessed on the LRA the most. Monthly as you may know I produce a Top 10, with the most accessed items on it – more than one author here has been very pleased to turn up on it; some on a very regular basis. But to cap a year of hard work by my team I’ve been digging into the data for the whole year. 78% were full text items. There are a couple of caveats to these values. Due to the way the DSpace software handles statistics, I was only able to work with items that had at least 20 accesses in a month; which means there is a likelihood that the real values for accesses will be lower in total than they were. Some people may well have searched for and retrieved articles on the LRA from the Google cache – and these accesses would not have been counted by our software. While these caveats mean I can’t draw any shockingly accurate truths, they are useful as a snapshot of LRA access. If I get the time I’d love to go back and do the same work on the 2008 data. The full report on these findings will be presented to the LRAPG on the 2nd Feb. This morning I went off to the Learning and Teaching in The Sciences Unconference. What is an conference? It’s one where rather than a set agenda, the participants come together and draw one up. Ideally you run it over a day or two and aim to have real outputs at the end, but we had just a few hours. Normally the LTS Conference spans an afternoon or so with invited speakers. This year this wasn’t possible, but there was still a demand to meet and look at our teaching and a learning activities across the sciences. The focus was on assessment, and after voting on the aspects we wanted to look at fractioned off into smaller groups. I was in a group looking at the benefits to students and staff. After flying the flag for information literacy we came to a rough conclusion that whilst they may grumble about it, and focus on the final grade; assessment has real appreciable and demonstrable benefits to students, staff and the institution – with especial focus on the employ-ability and respect of our graduates. We had a feedback session and then broke into new groups. This time I was looking at work placed assessment and placement. I spent a year in industry as part of my degree, and it was a wonderful terrifying, intensive and rich learning experience. We didn’t have as much time here, so we perhaps didn’t dig down as far as we might have hoped. We then lunched and discussed the session. One of the best outputs was uncovering one of my Chemistry academics as a tweeter and I’ve been following up on some of the discussions with @wozzza already. More than that? 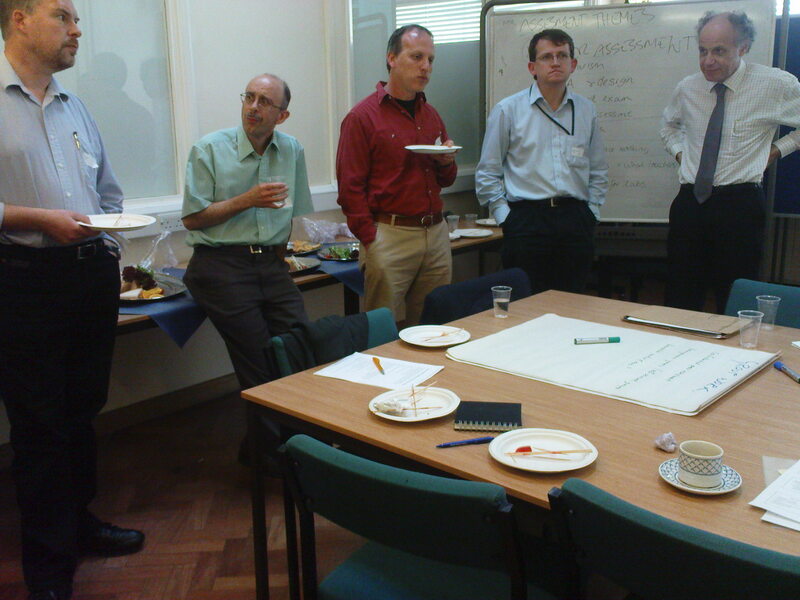 Well I hope to see unconferences like this more often at UoL. They take less planning, and other than refreshments need little more than a room and a few hours of people’s times. But the reinforcement of old networks and the generation of new linkages can only be of considerable benefit to the university. Thanks to my novel networks we made the http://scienceleicester.wordpress.com/, what will come from today?! Well for one I introduced Alan Cann to Belbin analysis; which he’d never heard of; so felt justly smug for a few fleeting seconds. Hopefully there will also be other blogs and formal reports too, to try and share this expertise and experience further. 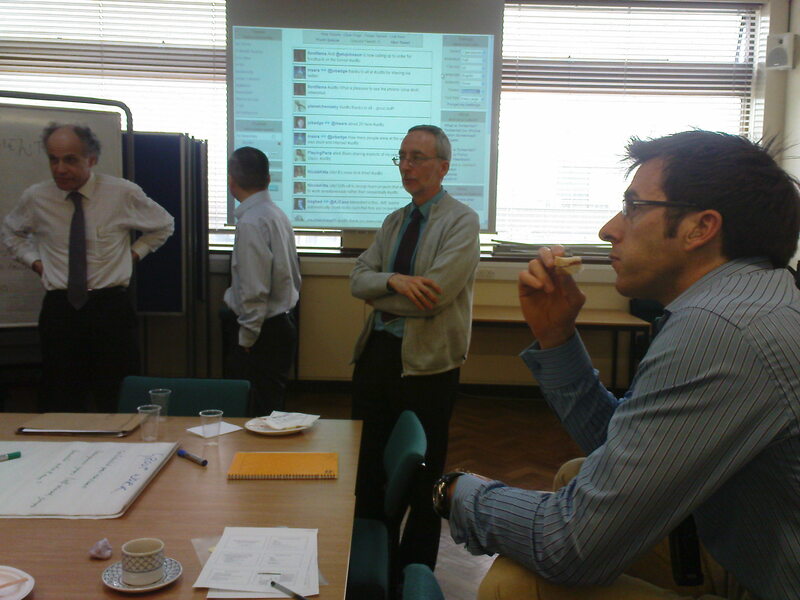 A big thanks to Stu Johnson of Student Developmentfor organising and facilitating the day. Hello all, I’m back from my excersions to the wild Scottish Highlands and slightly more cultured Breton red granite coast. In browsing thtough the 600 or so emails waiting for, I spotted this annoucement in the staff development newsletter. 1) Are librarians support staff here at Leicester? I’ve worked places where this term means something more than the obvious definition. 2) If we are – did anyone go to last year’s support conference and would it be worth encourging folks to go?